People get together in various places. You simply have to realize why they’re a group, what they need, then deliver it, and they’ll be happy. Mostly. The world is shifting to online social areas. Yes, groups still meet in churches, bars, restaurants, and community centers too but the ease of “showing up” online is so much easier than at physical locations. Facebook, Instagram, Twitter, LinkedIn and SnapChat all have unique groups that meet regularly, looking for entertainment, information or promotion. You just have to create content that they want or anticipate. Without people like us (creating content), the social media platforms would fail! Create a Rhythm. Don’t set a huge expectation for your post frequency. Start with once a day or once every other day. Get really good at that initial pace and let your audience get used to it. Try to post at the same time each day (try to think about when most of your audience would be taking the time to check their social feed — i.e. first thing in the morning, coffee break, lunch, on the way home from work, or right after the kids are put into bed). Be Consistent. Once you’ve established your rhythm; stick to it or slowly increase the pace to engaging more and more people. Create similarly styled posts and concentrate on entertaining your social audience. Don’t make lots of changes just simply tweak what you’re doing. Use promotion very little. You want the consistent pace and content to reach people so they enjoy listening to you, occasionally promoting something, or directing them to your website in order to discover what you’re all about. This consistency makes you reliable! Use Keywords. Everyone is known for something. 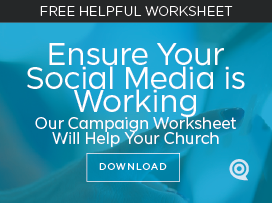 You understand your congregation so you want to engage with them with topics that they’re looking for. Do the same online. Consistently deliver solutions to their needs and paths to their goals. Speak directly to them and breathe into their lives as though you are writing a personalized message. Start listing the keywords (topics and themes) needed to engage them. Use them. In your content and as hashtags. Remember, the more unique (and benefit-driven) your keywords are, the more people will discover them (as long as they’re sought after). It’s like a complicated formula. 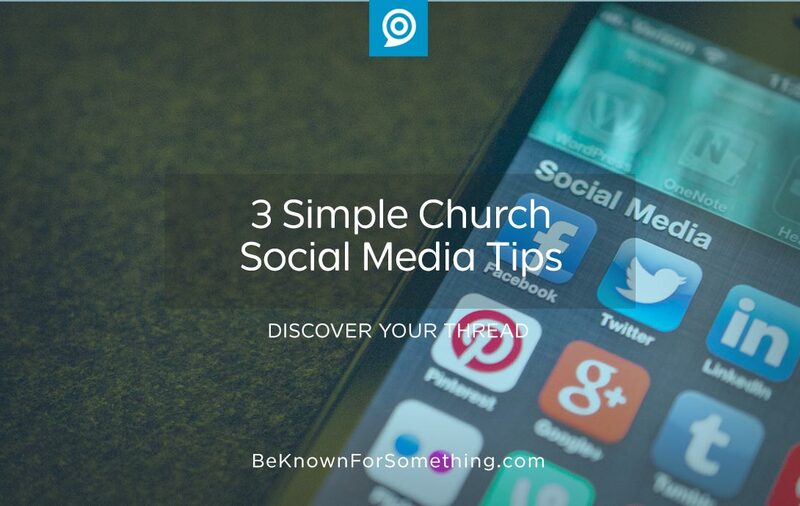 Yet, if you’re a social person, you inherently tend to do these things in person at your church. All you have to do is use the tools and their search-ability to engage an online audience. The world is now our stage.